About Butter Chicken Recipe | Chicken Recipe: Butter Chicken! The name alone can make you want to enjoy this ever-so-popular Indian dish. 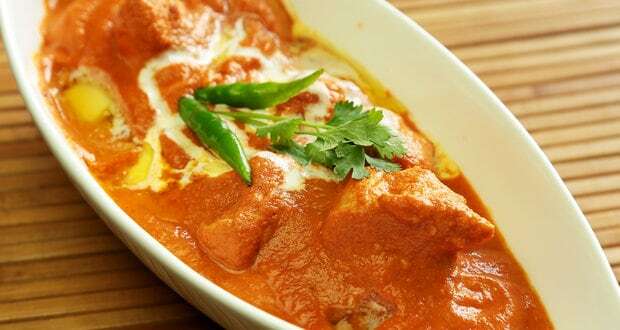 Butter Chicken continues to be hit amongst Indians and foreigners alike, especially those who want a taste of Indian cuisine. There are many versions of how this dish was created and most historians agree that the iconic Butter Chicken was invented in the kitchens of Moti Mahal. This recipe of Butter Chicken from Moti Mahal is easy to follow and makes for an instant conversation-starter! Marinated overnight, the chicken is roasted and cooked in tomato puree, cream and masalas. 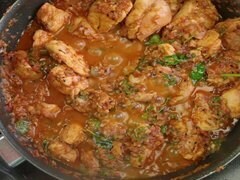 A perfect dinner party recipe, this North-Indian style chicken recipe is made throughout the country with equal zest. 1.In a mixing bowl, mix red chilli powder, ginger garlic paste, salt and curd. 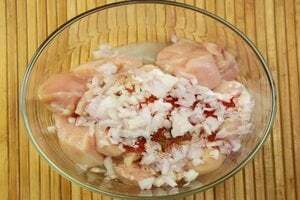 2.Add the raw chicken pieces to the marinade and mix well. Keep it in the refrigerator overnight or minimum 6 hours. 3.Roast the marinated chicken in a tandoor or an oven for about 10-12 minutes until it is three-fourth done. 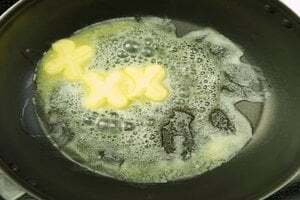 1.Heat half the quantity of white butter in pan. 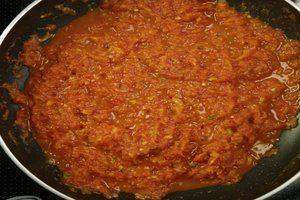 2.Pour in the tomato puree, and saute for 2-3 minutes. Add cumin seeds, sugar, red chilli powder and salt. Mix well. 3.Add the prepared chicken, white butter, fresh cream, sliced green chillies and crushed fenugreek leaves. Saute for 3-4 minutes and let the chicken cook. 4.Cook till chicken is done. Serve hot with rice or naan. This is a classic chicken dish and enjoyed best when served hot. You can also garnish it with cream and green chillies just before serving. We have a huge variety of recipes when it comes to Indian chicken curries so you never run out of options. If you are a health conscious chicken lover, we have got you covered even then with our delicious Low Fat Butter Chicken. You could make a vegetarian version of the dish by simple replacing chicken with pieces of paneer. Marinate the paneer for 5-6 hours too to ensure there is enough flavour in them before putting them in the oven or tandoor.